This year has been nothing if not excellent on the accessories front—we've had beautiful brand-new It bags galore (from the pink Gucci Marmont to the Balenciaga striped shopper), a truckload of dazzling earrings, an endless stream of silk neckties and scarves, brooches, backless loafers—need we go on? This year gave individuals a wide berth to complement their clothes however they want—more can be more, but less can be more too. But there's one new addition to the add-ons scene that we weren't expecting: the baker-boy hat. Kate Moss has always worn them. So has Diane Kruger and Sienna Miller. But never often enough for them to become a thing in the same way that fedoras or beanies have. Over the past year, the blogging community has picked up on this wildcard millinery trend as its own unique way to tackle the cold (and bad hair days). Where did the trend come from? Nobody really knows. Are all of the coolest girls wearing one? Absolutely. Scroll down to see how each street-chic lady makes the hat her own, and shop the nattiest versions you can find now. 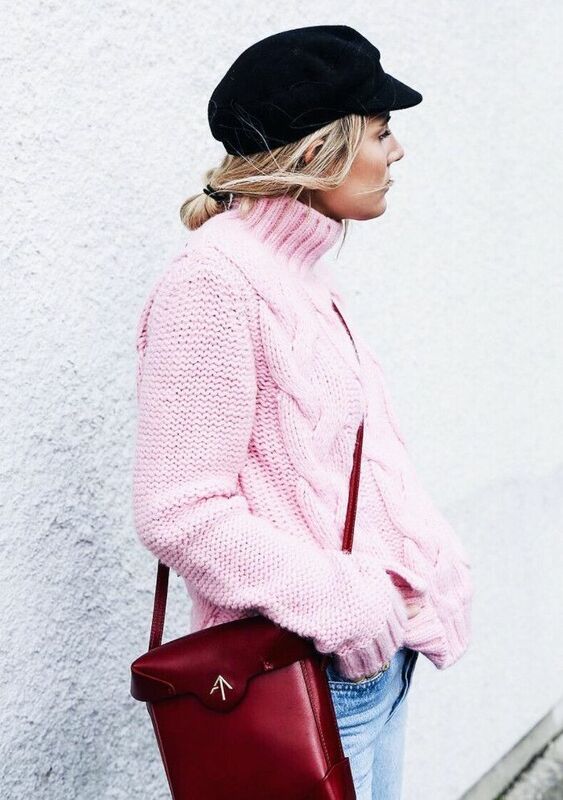 Style Notes: Lucy Williams's classic black Isabel Marant baker-boy cap is her off-duty staple, and looks excellent with her sugary pink cable-knit Ganni jumper and jeans. Style Notes: Blogger Megan Ellaby shows that you don't have to stick to simple black baker boys, as hers is adorned with chain detailing. Style Notes: Celine Aagaard made her baker-boy cap the centrepiece of her outfit during fashion month, pairing it with a skinny black neck scarf, leather overalls and a coffee to go. Style Notes: For a more casual look, opt for a grey or tweed style such as Megan Ellaby's. Style Notes: Lucy Williams paired her black baker-boy cap with two of the key accessories of the season, a mini bucket tote and pillar box–red boots. Style Notes: When wearing her black baker-boy caps, Victoria Törnegren tends to pair it with a matching all-black outfit. Style Notes: Irina Lakicevic makes her Gucci hat look effortless with a pair of rolled up vintage Levi's and a navy Christophe Lemaire roll-neck. Want to know the trends that are about to be huge? Here are the only seven looks you need to know for S/S 17.